Hey guys, how’s it going? I’m so sorry I haven’t written here for ages. I could make a zillion excuses…most of them work related. But the reality is that in all the busyness that is life, I just didn’t feel like writing. It made me feel dry again – much like I did when I began writing this blog months ago. In a moment of despair over feeling a sense of distance from the Lord, my sweet man said “You know, it seems like you always feel closer to God when you’re writing your blog.” I think he has a point. So I began to think about what I would write. One idea keeps coming back to me. Maybe one of you dear people needs to hear it as much as I did! Driving home from work. It’s dark, snowy, cold – and my mood matches (well, maybe minus the snowy part…). Working retail during the holidays often means an interesting schedule, and it was just getting me down. Christmas this year felt so different than ever before, and I felt robbed. I fumbled around for a Christmas CD, put it in and skipped a few songs in until I came to a melody that sounded soothing. Oh little town of Bethlehem, how still we see thee lie… Tears sprang to my eyes as the song continued. The last bit of the first verse prodded deep inside my heart. Yet in thy dark street shineth, the everlasting light. The hopes and fears of all the years are met in thee tonight. In a dark world, Christ, born of a virgin, came to rescue us from that darkness – the fears of all the years. In that moment, I realized that feeling “robbed” of my Christmas was has more to do with my heart and attitude than my job. Working on Sunday morning doesn’t prevent me from reflecting on the truth of Christmas and singing songs of the season. I can still worship and be excited about the reason I celebrate Christmas. I choose to ask God to set my heart right so that I can celebrate this Christmas. 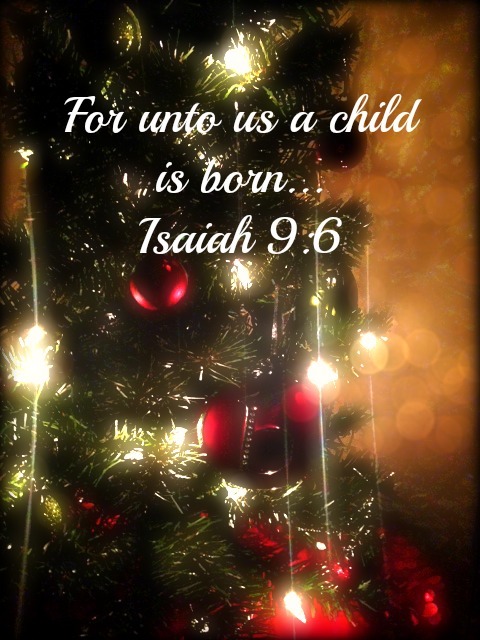 Posted in Encouragement and tagged celebrate, Christmas, God, Holiday, scripture. Bookmark the permalink.